Dr. Jamshid Ahmadi graduated from the Tehran University of Medical Sciences School of Medicine. He did his internship at the New Rochelle Hospital Medical Center and completed his residency program at the St. Luke's Roosevelt Hospital Center. He is specialized in Radiology and board certified in Diagnostic Radiology. 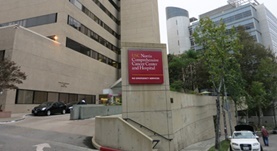 Dr. Ahmadi has been in practice for more than 20 years and is affiliated with the Keck Medical Center of USC and the USC Norris Cancer Hospital. During his career, he has also contributed to various publications of clinical interest.